Prithvi Shaw started off from where he left before lunch as he got three more boundaries with Shannon Gabriel ( 1/48 in 7 overs) bowling too full. 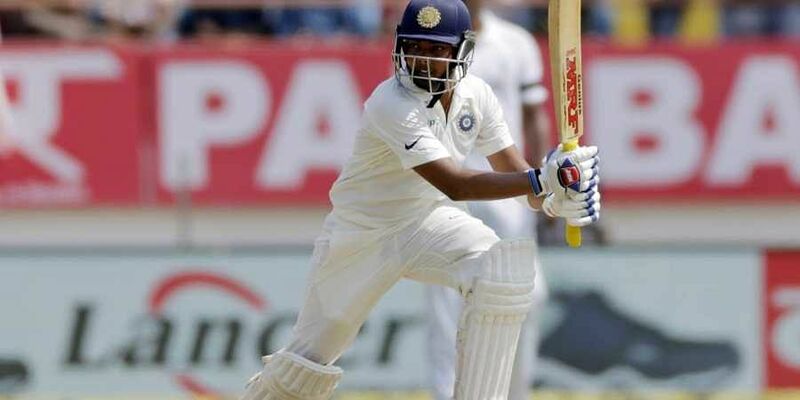 HYDERABAD: Skipper Virat Kohli and new opening sensation Prithvi Shaw's dismissals pegged India back as the hosts lost the initial momentum to reach 173 for four at tea on second day of the second and final Test against West Indies here on Saturday. After Shaw's (70 off 52 balls) whirlwind knock, India lost their way in the second session with spinners -- left-arm orthodox Jomel Warrican (1/53 in 17) and leg-spinner Devendra Bishoo (0/28 in 11 overs) stemming the flow of runs. Shaw started off from where he left before lunch as he got three more boundaries with Shannon Gabriel ( 1/48 in 7 overs) bowling too full. But his youthful exuberance cost him dearly when Warrican flighted one outside the off-stump and Shaw drove away from his body to be caught by Shimron Hetmeyer at extra-cover. His innings had 11 fours and a six. Cheteshwar Pujara (10 off 41 balls) didn't look uncomfortable but not being able to score runs did increase pressure as he edged one off Gabriel to reserve keeper Jahmar Hamilton behind the stumps. India were reduced to 102 for three when Kohli and his deputy Ajinkya Rahane (19 not out off 78 balls) joined forces to do the necessary damage control. They were partially successful adding 60 runs for the fourth wicket with Kohli looking very solid. He hit five boundaries and batted with ease making Rahane's effort look painstaking. It was a struggle for the Indian vice-captain even though he managed to survive the session. But to the Indian team's horror, the skipper got one from his opposite number Jason Holder (2/30 in 11 overs) that jagged back to hit his pads. Kohli's poor form with DRS continued as he returned to the pavilion after it became an umpire's call. Earlier, young Shaw blazed his way to a half-century after Umesh Yadav's six-wicket haul as India raced to 80 for one during the first session. At lunch, Shaw was batting on 52 off 42 balls with eight fours and a six and had Pujara for company. West Indies were all out for 311 in their first innings adding only 16 runs to their overnight total as Umesh recorded career-best figures of 6 for 88, polishing off the tail in only 6.4 overs in the morning. Roston Chase (106 off 189 balls), however, deservedly completed his fourth Test hundred before the innings was wrapped up. When the Indian innings started, it was all about how comfortable Shaw looked against Gabriel and Holder as he completed his half-century in only 39 balls. As Shaw scored with ease, his opening partner KL Rahul (4 off 25 balls) looked like a player, who has currently lost all his confidence. Against the same bowlers he struggled and his miseries ended when he played on a Holder delivery. The only blemish on Shaw's part before he reached his half-century was a dropped catch off left-arm spinner Warrican. Shai Hope at first slip dropped it as Shaw tried to play the cut. Before that he did hit Warrican over deep mid-wicket for one bounce four. In the morning, Umesh surpassed his previous best figures of 5 for 93 recorded during a 2011 Test match at the Perth as he removed Devendra Bishoo, Chase and Gabriel in quick succession to reach his individual milestone.